When American Aquarium releases new recordings every couple of years, the bulk of their songs often come straight from the observations and life experiences of lead singer BJ Barham. In their upcoming June 1st release Things Change, that fact garners even more credence. You see, the American Aquarium that many of their fans knew no longer exists. With the sudden exit of essentially the whole band after a decade of near constant touring, Barham found himself alone and at a crossroads. After what could be considered a long month-and-a-half hiatus in the world of American Aquarium, Barham dug deep. 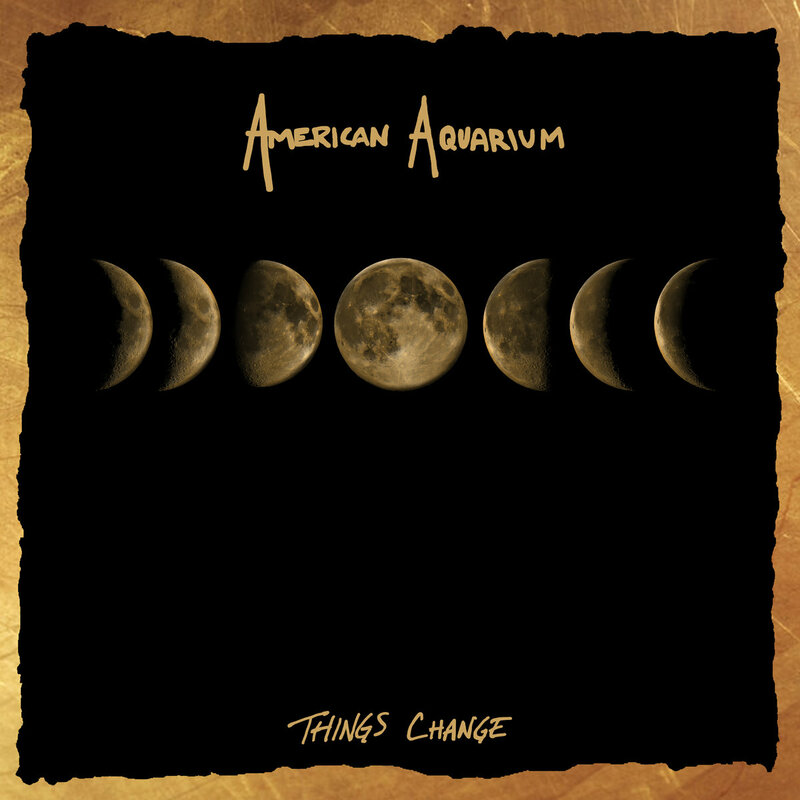 He assembled a new band of eminent and adventurous musical vagabonds and continued the musical excellence and strong storytelling that American Aquarium fans are accustomed to hearing. Following up the acclaimed album Wolves could have been seen as quite a challenge. Barham’s new tales more deeply stir the listener and advance him into the realm of the great American storyteller. With a combination of wit and depth that is scarce nowadays, the subject matter of each song paints a vivid scene. These songs are both fresh and timeless, and place listeners in the moment as if they are personal witnesses. Things Change clocks in with ten distinct and varying tracks. Opening track “The World’s On Fire” may initially have fans reliving a particular night in November 2016. Yet with subsequent listens, fans may start to notice that the song definitely can be attached to many of the diverse issues facing us today in the U.S. Barham certainly shows where his thoughts lie with the line, “This ain’t the country my grandfather fought for/Or about the hate he fought against.” “Crooked + Straight” sounds like a page from the Tom Petty & the Heartbreakers playbook, with the perfect attitude of rock n’ roll groove and southern culture. The title track recounts nearly losing love and resolving to be a better man for the true love he fights for, earns, and needs, and in “One Day at a Time”, Barham pulls back the curtain to expose a personal façade, his battle with the bottle, and how he is doing his best to win. Who knew that in the midst of a what could have been an inescapable musical crisis that Wolves could be bested? Barham proves that tough times don’t last but that tough folks do. If there is anyone that can prove that talent, grit, and persistence can conquer a career-killing set of circumstances, it’s B.J. Barham.